Should We Scrap Benefits And Pay Everyone £100 A Week Whether They Work Or Not? Imagine a Britain where the government pays every adult the basic cost of living. Whether rich or poor – or, crucially, whether you’re in paid employment or not – everyone gets the same weekly amount, with no strings attached. The harsh, punitive model of modern “welfare” is a distant memory; passing in and out of employment in the so-called gig economy is now something everyone can afford. The positive consequences extend into the distance: women are newly financially independent and able to exit abusive relationships, public health is noticeably improved, and people are able to devote the time to caring that an ever-ageing society increasingly demands. All the political parties are signed up: just as the welfare state underpinned the 20th century, so this new idea defines the 21st. Welcome to the world of a unconditional basic income, or UBI, otherwise known as citizens’ income or social wage. It might look like the stuff of insane utopianism, but the idea is now spreading at speed, from the fringes of the left into mainstream politics – and being tried out around the world. The UK Green party has supported the notion for decades: staunch backing for a version of UBI was one of its key themes at the last election. At its spring conference last month, the Scottish National party passed a motion supporting the idea that “a basic or universal income can potentially provide a foundation to eradicate poverty, make work pay and ensure all our citizens can live in dignity”. A handful of Labour MPs have started to come round to the idea – and serious work is being done among thinktanks and pressure groups, looking at how it might work in the here and now. Meanwhile, there have been UBI-type policies and experiments in India and Brazil. These have suggested that, contrary to modern stereotypes about “welfare” sapping people’s initiative, a basic income might actually increase people’s appetite for work, by adding to their sense of stability, and making things such as childcare and transport more accessible. A pilot of a UBI-ish policy whereby people on benefits are paid unconditionally is happening in Utrecht, in the Netherlands; other Dutch towns and cities look set to follow its example, and there are plans to pilot a more ambitious kind of basic income in Finland. On 5 June, the Swiss will vote in a referendum on a plan that would see all adults receive about £1,700 a month, with an extra £400 for each child. And then there is the rising noise from Silicon Valley. The California-based startup incubator Y Combinator has announced that it wants to fund research into UBI’s viability. Its president, Sam Altman, says: “It is impossible to truly have equality of opportunity without some version of guaranteed income.” In New York, the influential venture capitalist Albert Wenger has been sounding off about a basic income for at least three years, claiming it offers an answer to a very modern question. If, as he says, “we are at the beginning of the time where machines will do a lot of the things humans have traditionally done”, how do you avoid “a massive bifurcation of society into those who have wealth and those who don’t”? This Saturday, thousands of people are expected in central London for the latest demonstration organised by the anti-austerity alliance the People’s Assembly. The top-line is pretty much as you would expect. “End austerity now” is the big slogan, accompanied by four key words: “health, “homes”, “education” and, of course, “jobs”. But there too will be noise about UBI. A group called Radical Assembly, founded last May, is organising what it terms the No Jobs bloc: a subsection of the march for people sick of the daily grind, looking ahead to a world without it and convinced that technology is the answer. As they see it, the point shouldn’t be to argue for more, or better work, but to demand a world with very little paid work at all – and the key way to make that vision work is a basic income. The idea cuts straight to the heart of the crisis being experienced by mainstream leftwing parties across Europe and beyond. For the UK Labour party, the concept of a basic income raises a painful question: how can you carry on styling yourself as the party of workers when traditional work is disappearing fast? Srnicek, 33, is from Canada: he came to the UK in 2009, and works as a freelance academic in London. He says he’s both thrilled and surprised by the idea of people marching in favour of what he and Williams advocate. “I’ve heard about the No Jobs bloc, and it sounds great,” he says. As he explains, the concept of a basic income has been doing the rounds for centuries, and has been voiced by such people as the 18th-century radical Thomas Paine, Martin Luther King, and the free-market guru Milton Friedman. In the US, the Nixon administration of the 1970s had plans for a rightwing version that nearly made it into law. Meanwhile, between 1968 and 1978, the US government did a series of experiments with a basic income in such places as New Jersey, Seattle and Denver, Colorado. It was also tried in the small Canadian town of Dauphin, Manitoba. Although it took years for the research findings to be published, they suggested that among the results had been a drop in hospital admissions, and a rise in the number of teenagers staying on in school. He says he also has concerns about interpretations of the idea from some parts of the political left. “UBI has to be universal: it has to apply to everybody,” he says. “It’s problematic for some people that it includes the rich as well, but universal benefits have a political power that means-tested benefits don’t. It has to be unconditional. It can’t be means-tested. Everybody gets it, no matter what. 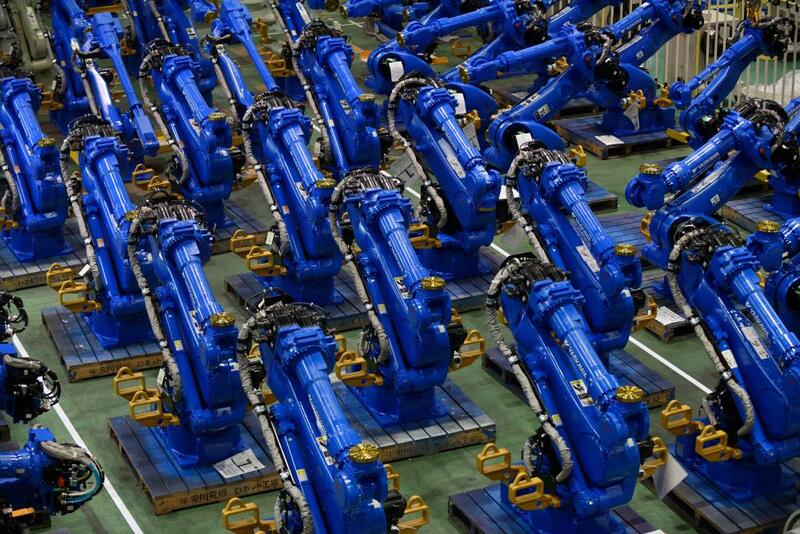 The big theme that sits under Srnicek and Williams’s ideas is that of automation, and its effects on the place of work in our lives. A third of jobs in UK retail are forecast to go by 2025. The Financial Times recently reported on research predicting that 114,000 jobs in British legal sector would be automated over the next 20 years. As and when automation reaches transport, all this could turn nuclear. Recent estimates have put the number of jobs in the US related to traditional trucking at 8.7m – which, when people are talking about automated haulage (in last month’s budget, for example, George Osborne promised trials for driverless lorries), gives a sobering sense of how huge the future changes to paid work could be. How long does he think it will be before UBI becomes a credible part of mainstream politics? “Well, I do think this is a longterm project; it’s not going to happen overnight,” he says. “You need to build it up over time. And you also need to find new revenues for it. So you need to be talking about the Panama Papers and tax havens, and how you’re going to claw back tax revenues to pay for it.” The basic point is that something as ambitious as a basic income that allows people meaningful choices is going to cost, and the only way of bringing in the funds chimes with our rising concerns about tax avoidance and evasion – and, for that matter, global inequality and the fragile job markets that increasingly sit under it. 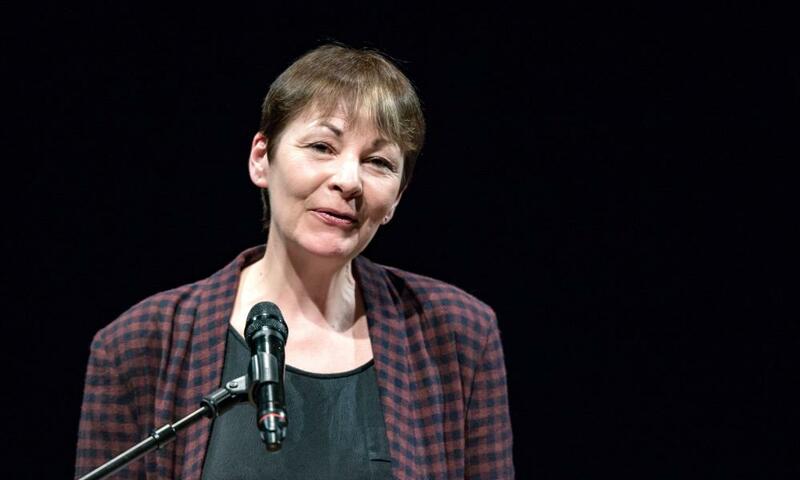 The Greens’ sole MP, Caroline Lucas, is a fan of Inventing the Future: “I love the way they talk about a basic income as something really transformative,” she says. She recently tabled an early-day motion in the House of Commons about UBI. Thirty-two MPs signed up to it: 23 from the SNP, with six from Labour, and two from Northern Ireland’s SDLP. The Tories and Lib Dems were conspicuous by their absence. If all that sounds rather high-flown, she also emphasises the hard work that is being done on UBI’s basic economics. In this context, she mentions Compass (the pressure group that includes Greens, Labour members, and many people with no party attachment) and the RSA, formally the Royal Society for the Encouragement of Arts, Manufactures and Commerce, whose basic-income proposal was published in December 2015. The RSA proposed a n annual UBI of £3,692 for everyone aged between 25 and 65, rising to £7,420 for pensioners. There would also be a temporary basic income for children up to four years old of £4,290 for a family’s first child, falling to £3,387 for other children as they come along, and down to £2,925 for all between the ages of 5 and 25. For people without kids, that would put the weekly UBI at £77 a week. Is that really enough?. Matthew Taylor is the RSA’s chief executive. Between 2003 and 2006, he headed Tony Blair’s Downing Street policy unit. He’s more sceptical about the looming future of automation than some, but still thinks a basic income is the best route to greater security in an insecure economy. When I mention the argument that less than £80 a week is a rather small amount, he sighs. Talking to this former Downing Street insider about such a cutting-edge idea feels like proof in itself of how far the idea of a basic income has come. He says the fact that UBI is now discussed all over the left of politics and beyond is proof of how much everything is in flux, from the basics of the economy to the fundamentals of politics. This is an age in which ideas can quickly whizz from the radical fringes to the centre of political debate.